KORE, the world’s largest wireless service provider specializing in machine-to-machine (M2M) communications, today announced that more than 50 customers across six continents are now taking advantage of worldwide M2M connectivity offered through KORE Global Connect™. With integrated cellular and satellite services, organizations and application providers across multiple vertical industries including supply chain management, healthcare and fleet tracking are harnessing the power of KORE Global Connect to deliver M2M applications in multiple countries and geographies. KORE Global Connect features GSM-based, cellular M2M communications services in more than 180 countries as well as satellite services enabling 100 percent global coverage, and provides truly ubiquitous connectivity anywhere in the world. With Tier-1, in-country network connectivity and the ability to be a single point-of-contact for billing, support, logistics and relationship management, KORE Global Connect has quickly become the network of choice for organizations looking expand globally. “Protecting the quality of fresh produce while it moves around the world via ocean transport is critical for the food supply chain, and the need for transparency has reached a completely new level,” said Claude-Nicolas Fiechter, Ph.D., vice president of software development, Purfresh, a provider of ocean transport and supply chain management technologies. Customers manage KORE Global Connect via the KORE PRiSMPro™, a single management platform for integrating and controlling all aspects of this multi-technology, global services network. By simply logging into the PRiSMPro interface, users can automate device controls, monitor complex multi-tariff billing and manage connectivity and usage options as devices cross borders. In addition, KORE is the single point-of-contact for any device troubleshooting or service questions, ensuring unmatched customer service and problem resolution. “We are excited about the early success of KORE Global Connect, which was designed from the ground up to exceed the M2M market’s need for a single network for connecting devices across the globe,” said Alex Brisbourne, president and COO, KORE. KORE is the world’s largest wireless network provider specializing exclusively on the rapidly expanding global machine-to-machine (M2M) communications market. Providing unified control and management for cellular and satellite network service delivery in more than 180 countries worldwide, KORE empowers its application, hardware and wireless operator partners to efficiently deliver M2M solutions for connected devices across the globe. M2M applications in industries as diverse as healthcare, utilities, enterprise IT, transaction processing and fleet management rely on the KORE network to deliver operational efficiencies and cost-savings. KORE offers a range of technologies — including GSM, HSPA, CDMA and EV-DO, as well as satellite services — that ensure the greatest possible reliability and coverage. 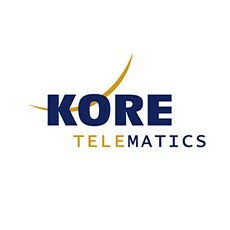 For more information, please visit www.koretelematics.com.